We’d love your help. Let us know what’s wrong with this preview of The Longest Memory by Fred D'Aguiar. To ask other readers questions about The Longest Memory, please sign up. I would like to read this, but, I am not ready. I have the feeling that this book is about slavery and bone chilling about the injustice done to people at that time. I will have to read this eventually, I know. Do you recommend? Alyssa Morgan I would recommend as it does not describe what happens but is more about the morals of slavery and love. D’Aguiar’s main interest, and the theme of most of his writings, is the slave trade and the history of slavery in the US, and so this lovely, lyrical book relates the events immediately prior to and after the death of a young slave who received 200 lashes as punishment for running away from the Virginia plantation where he had been born. The story is told through the voices of the young slave’s grieving and guilt-ridden father, whose punishment is perhaps greater than that of his son; his mother, who learns that kindness is the greatest form of love; his lover, someone who believes that people really can change the world; the plantation owner, a man who has a vision of the future and who battles within himself over the issue of owning other human beings; the overseer who ordered the 200 lashes, a man perhaps haunted more by the future than the past; and, in a chapter written so musically and beautifully in verse, the young man himself. Such an impactful small book, a definite keeper in my library. I recommend this book to everyone. I understand why this book has won awards. I bought The Longest Memory as a super-cheap scratch-and-dent from BookOutlet.com knowing nothing other than it's synopsis. So, I took a chance. I'm so glad that I did. In the initial chapters were are introduced to Whitechapel. He is an elderly slave of the Whitechapel Plantation in Virginia. He has buried two wives and sired thirteen children, only one of which, Chapel, is a son. The book opens with the death of Whitechapel's second wife, mother of Chape I understand why this book has won awards. The book opens with the death of Whitechapel's second wife, mother of Chapel, and Chapel's attempt at escape. Whitechapel is convinced that his son's escape is due to his misery of the loss of his mother. Whitechapel helps in the retrieval of his son, for selfish purposes, which eventually leads to Chapel's fatal whipping. It is only in the proceeding chapters, told in multiple perspectives, as well as flashbacks, that we learn the real reason for Chapel's escape. The truth will amaze you. Each character close to Chapel has their moment in the light, telling his or her side of the story, as well as how Chapel's desire for freedom, and his death, resonates within them as well as the entire community. I loved hearing how it affected each character. So often we hear from only one side, often the side of slaves, how a death by whipping affects them as a community, but in The Longest Memory we also learn how it affects the plantation owner because his morals and treatment of his slaves are slightly more advanced than his peers. It was so easy to hear each character's individual voice whether told in prose, poetry, journal entries or newspaper editorials. The book opens in Whitechapel's voice and ends the same as well. This book has one of the greatest last sentences I have ever read. It's difficult to find anything wrong within the pages of this book. I would have liked additional chapters from Chapel's point of view. We only get one from when he is an older boy, learning to read, and I would have liked to read more of his feelings and emotions and reasoning, from his point of view, the moments leading up to his escape and eventual capture. I adored the chapters from Lydia's and Cook's perspectives. They were such complete opposite looks at plantation life and made the contrast between chapters so completely engrossing. Others have given the essence of the story, a subject that I am familiar with. My comment concerns the author's writing style. Precision and command of language are his clarion calls. A style that is worthy of praise and adulation. The story of a young slave, Chapel, who decides to flee in 1910 and meet up with his white girlfriend (the landowner's daughter) in the North. His father inadvertently turns him in. Due to a deal with the plantation owner who knows the real story of this young man's birth. Instead, the owner is gone and the overseer condemns him to 200 lashes (enough to kill him). As it turns out this is really his half brother. A sad but interesting time of slavery in Virginia. The Longest Memory is historical fiction depicting life on a Virginian plantation between 1790 and 1810. The story is told from the viewpoint of several different people using different formats. While it tells a heartbreaking story, the telling is conveyed in a poignant style that can simultaneously sicken and touch the reader. A moving and deeply sad story. D'Aguiar effectively uses perspective to tell the story from multiple sides all building up to a conclusion that was presented in the first chapter (also a great choice). Writing changed appropriately for the different characters. It always had a clear, poignant simplicity. Distinguished a persons life. It also showed true love regardless of colour and love lost through human cruelty. I read this for school and I read it rushed because I didn't get it until we had started studying it so I don't feel like I can accurately rate it but I hate it sitting there without a rating so it's getting 3 stars. Essentially: slavery creates the generational injustices between black Americans and white Americans, which is still echoing down to the modern day. The Longest Memory is not a difficult book to read, the story itself contained and intricate, and gets the reader to emotionally invest, not in the individual characters, but in the broad concepts each character represent. We get angry at the ignorant and bigoted words of The Virginian not because we care so much about Whitechapel the slave, but beca Essentially: slavery creates the generational injustices between black Americans and white Americans, which is still echoing down to the modern day. 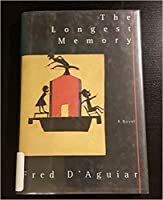 The Longest Memory is not a difficult book to read, the story itself contained and intricate, and gets the reader to emotionally invest, not in the individual characters, but in the broad concepts each character represent. We get angry at the ignorant and bigoted words of The Virginian not because we care so much about Whitechapel the slave, but because we care about all of the slaves in America. We hate the misogynistic words spoken down against Lydia not because she's so interesting, but because we care about the injustices against women in that time period. This book isn't what I would generally choose to read. It was sort of cheesy, not in a romantic way but it was predictable as a book and it didn't really have a deep meaning, its sort of just there for you. Difficult to follow in places, but definitely gives you a new perspective. The mix of voices, times and ideas results in a powerful combination. Lots of little idea “buds” here that elicit other imaginings as one reads. A really interesting and different concept and a story with a lot of heart! Started stronger than it finished but deserving of all its credits. The kind of simple but thoughtful book you don't soon forget. Brilliant and heartbreaking! Loved this book! Loved this one. Not totally perfect but an engaging read. The future is just more of the past waiting to happen. You do not want to know my past nor do you want to know my name for the simple reason that I have none and would have to make it up to please you. What my eyes say has never been true. All these years of my life are in my hands, not in these eyes or even in this head. Well you can't help but challenge him on that question, can't you? The equivocation between the writer's hands and the visionary's eyes, however, not to mention the thinker's head prompts a reevaluation of this also-signifier of the hands of slavery, the eyes of the invisible witness, and the head of lost memories. I liked it because it is so different from the type of book I would normally pick up. Written as a first novel by a young man from Guyana, although the book is published in England in 1994, the novel chronicles life and death in a slave family in Virginia around 1810. Using a variety of different writing styles and methods, D'Aguiar explores the conflicts and tensions between generations of slaves and between slave and master, and slave and son, and slave's son and master's daughter. Worthy of a I liked it because it is so different from the type of book I would normally pick up. "Memory is pain trying to resurrect itself"
This was actually more like 4.5/5 stars. I really love this book. We knew the plot from the get-go but I still really enjoyed the revelations from different characters that were revealed through multiple points of view. I especially love Chapel's chapter which was written in verse - the different style of writing added so much to his words. I found myself being quite critical of Whitechapel though I understand the motivation for his actions. I definite "Memory is pain trying to resurrect itself"
This review has been hidden because it contains spoilers. To view it, click here. Hm... I liked the beginning when I thought this book would be about the oppression of black slaves... but then I changed into a story of lost love and there was a Romeo and Juliet kind of relationship, which shocked me slightly. then I would remember that we usually already knew how this would finish... and my hand would fly to my mouth and I would suddenly be very sad... Hm... I liked the beginning when I thought this book would be about the oppression of black slaves... but then I changed into a story of lost love and there was a Romeo and Juliet kind of relationship, which shocked me slightly. Poet, novelist and playwright Fred D'Aguiar was born in London in 1960 to Guyanese parents. He lived in Guyana until he was 12, returning to England in 1972. He trained as a psychiatric nurse before reading African and Caribbean Studies at the University of Kent, Canterbury, graduating in 1985. His first collection of poetry, Mama Dot (1985), was published to much acclaim and established his reputa Poet, novelist and playwright Fred D'Aguiar was born in London in 1960 to Guyanese parents. He lived in Guyana until he was 12, returning to England in 1972. He trained as a psychiatric nurse before reading African and Caribbean Studies at the University of Kent, Canterbury, graduating in 1985. His first collection of poetry, Mama Dot (1985), was published to much acclaim and established his reputation as one of the finest British poets of his generation. Along with Airy Hall (1989), it won the Guyana Poetry Prize in 1989 and was followed by British Subjects (1993). 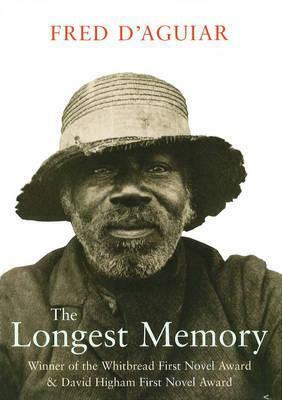 His first novel, The Longest Memory (1994), tells the story of Whitechapel, a slave on an eighteenth-century Virginia plantation and won both the David Higham Prize for Fiction and the Whitbread First Novel Award. It was adapted for television and televised by Channel 4 in the UK. His long poem 'Sweet Thames' was broadcast as part of the BBC 'Worlds on Film' series in 1992, winning the Commission for Racial Equality Race in the Media Award. Fred D'Aguiar was Judith E. Wilson Fellow at Cambridge University (1989-90), Visiting Writer at Amherst College, Amherst, MA (1992-4), and was Assistant Professor of English at Bates College, Lewiston, ME (1994-5). More recently he was Professor of English and Creative Writing at the University of Miami. His plays include High Life, which was first produced at the Albany Empire in London in 1987, and A Jamaican Airman Foresees His Death, performed at the Royal Court Theatre, London, in 1991. He is also the author of the novels Dear Future (1996), set on a fictional Caribbean island, and Feeding the Ghosts (1997), inspired by a visit D'Aguiar made to the Merseyside Maritime Museum in Liverpool and based on the true story of a slave who survived being thrown overboard with 132 other men, women and children from a slave ship in the Atlantic. Recent poetry includes Bill of Rights (1998), a long narrative poem about the Jonestown massacre in Guyana in 1979, and a new long narrative poem, Bloodlines, the story of a black slave and her white lover, published in 2000. Fred D'Aguiar's fourth novel, Bethany Bettany (2003), is centred on a five-year-old Guyanese girl, Bethany, whose suffering symbolises that of a nation seeking to make itself whole again.